I am noticing a concerning trend among friends and acquaintances in Christian marriages far and near. It’s what I call the Withering Wife. 2 You shall eat the fruit of the labor of your hands; you shall be blessed, and it shall be well with you. It’s the opposite of the beautiful vision of Psalm 128. At first it was one friend, then two, then four, and now it seems daily my attention is drawn to yet another wife in this condition. Instead of being a fruitful, flourishing vine, I can see her withering under the hot sun. No water comes her way, and instead there is cracking dry ground at her roots. Her leaves start to furl into themselves, and her vibrant color fades. She goes through the motions. She starts to shut down. Why stay engaged when she receives no encouragement or emotional support? There are two things that contribute to this withering – active scorn and passive neglect by a husband. Some husbands freely communicate to their wives that they despise them. One friend shared with me how in the middle of a conversation in which her husband talked to her with scorn, he picked up the phone and completely changed his tone of voice to one of kindness and respect with the other party on the phone, and even in conflict at work on the phone, she heard a patient tone that he never used with her. She longed to hear him engage with her that way, but he felt free instead to despise and dismiss her with his tone of voice as well as his words. He talked to her in a way he would never use with anyone else. There is also passive neglect. This is when a wife’s needs are simply ignored. The wife may share tearfully that she is struggling, and the husband shuts her down with his lack of response. Or he says they will talk later but never does. He communicates passively that her emotional struggles are not worth him engaging. He sees her struggling with the children, but he doesn’t actively step in. I ache watching loved ones demoralized by being in partnership with someone who sees them struggling day after day, but the only way to get them to engage is to have a near melt down. On the flip side, I also note strong marriages among loved ones. I note particularly in these marriages that husbands NOTICE. They are proactive. Notice what, you may ask. What are they proactive about? Well, that depends on the marriage. That depends on their wife. Peter exhorts husbands to live with their wives in an understanding way. In other words, understand your wife. Know her loves. Know her gifts. Know her needs. 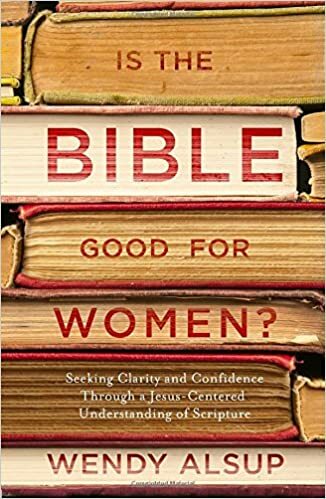 And your wife’s needs aren’t necessarily going to be the same as whatever illustration your pastor just gave in his sermon about his wife. The gospel is so needed here, because a wife’s needs can quickly feel threatening to a husband. A husband can’t find his identity in his wife any more than she can her husband. But if a husband is secure in Christ so that he does not feel threatened by his wife’s concerns, there is great room to know his wife even when her needs and gifts don’t at first fit a husband’s desires or expectations. If you are at this crossroads, husbands, I wrote before on praying with your wives. This is such an easy, hopeful, helpful first step. Even if it’s just once a week on a Saturday or Sunday morning, ask your wife, “What’s burdening you right now? What can I be praying for you?” Then right there with her, pray about it. That is an incredible ministry of grace to her in that moment. It’s water for her withering vine. If it’s something about you that’s stressing her, well, pray honestly with her about it. If you as a couple have any kind of faith, you must believe that you access supernatural help in that moment. I could give a second step (because there will very likely be some second step that needs to take place once you get up from prayer), but I think it’s better if I leave the second step to the Spirit who works after the first step in a couple’s heart according to their needs for their specific relationship. This dynamic of course does not characterize all relationships. As I said, I know many great husbands of flourishing wives, and it is perhaps that I get to watch those healthy relationships that also helps me notice dysfunction in others. And there are wives who likely need to notice their husbands. But today, in case you haven’t considered this lately, husbands, I encourage you to look over at your wife and notice her. If she is withering, take the steps you need to stir up your own love and concern for her and then be a conduit of God’s grace to her that will revive her. I wonder if this is a pendulum response to the former lack of leadership in men? As the men again try to assert their leadership roles they fail to realized that they still need to exercise sensitivity and nurture their wives. I know in my own marriage, the period of time where we were struggling and I felt unheard or withering was when we both lacked forgiveness for the other. Once we realized that we had to let go of our grievances and forgive one another in spite of our disappointments, then God turned our marriage around and we started praying with one another. We were more able to talk to & listen to each other much more effectively. We started having more concern for each others spiritual welfare. And we were more able to plug into a good church. It all seemed interrelated. With Elisabeth Elliot's recent passing, I find myself remembering her words in connection with many things that I read. She was adamant on the subject of wives taking responsibility for their own emotional/spiritual well-being in spite of their husbands. (Obviously, she did not mean a wife should stay in an abusive situation.) We are told in Isaiah and Jeremiah that the secret to being a “watered garden” rather than a withered wife is the replenishing and refreshing that comes with practicing spiritual disciplines (fasting, caring for the poor — Isaiah 58). Unless God is the main source of living water, no husband will be able to prevent the withering process. I absolutely agree, Michele. Practicing spiritual disciplines can be the means of grace to a wife starving in her relationship with her husband. I stand by though my encouragement to husbands to notice their wives. Otherwise, the implication is that the husband's love and care is irrelevant to his wife. My husband and I were married 10 years when I came to the Lord. I realized I had to stop looking to him for the “wind for my sails” and look to Christ. I took my husband off the hook and lowered my expectations of him. I'm grateful that I had those years to depend on Christ for my emotional and spiritual needs. 20 years later my husband became a Christian! Now I can say we are enjoying a sweet fellowship together. I like your post in that it shows the power of a man who fears the Lord to have an incredible impact on his marriage. But my main concern with this article is that it seems to make the wives into powerless victims. So often, wives FEEL powerless but the reality is that marriages function as systems and BOTH players impact the outcome. So if the husband ignores or despises his wife, she languishes. But if the wife disrespects or resents her husband, she also is having a profound negative impact on him, which can trigger his anger and keep the negative cycle going around. I'm just making these comments because I'm guessing it's mostly women who read your blog and it would be sad if they come away from this post feeling more like victims, more powerless, and even less respect for their husbands. There is one situation that I have seen within some men who are angry, bitter, impatient, and even hateful toward their wives. These men have misunderstood the 'two will become one' thing mentioned in scripture. They mistake this idea of the two becoming one as the wife becoming an appendage or an extension of the husband. He gives her no space to be who and what she is and expects her to turn into this perfect 'helpmeet' that can read his thoughts or thinks the way he thinks and able to meet all his needs and make him happy. If she isn't doing this, she isn't submitting as God has designed her to. Not only that, but she is actually hindering him and even opposing him because she isn't the helpmeet he thinks she is supposed to be. Sometimes there are ridiculous burdens placed on wives concerning what is expected in the way of respecting men. I could go into great detail. Actually I have because I have seen the withering weight placed on women concerning respecting their husbands. I wrote a response addressing this imbalance a couple years back.